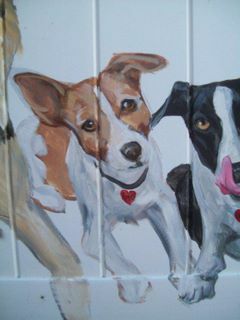 When my good friend, Kathy Hanson, first told me about the Murals for Mutts program I could tell she was very excited. Now that I’ve seen the website, and read more about the company’s mission, I completely understand Kathy’s enthusiasm. Murals for Mutts is brilliant! Anna Hamilton, Creative Director of the non-profit organization, is a Florida artist who raises money for animal shelters by painting portraits of people’s beloved critters on walls in their community. 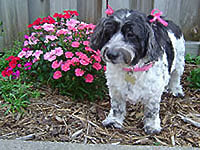 Individuals pay roughly $75 – $150 to have their pets included on the wall. Businesses donate their walls to the project, which gives them a great way to promote their organization AND support this fabulous group at the same time. This is one of the best projects I’ve ever heard of…talk about WIN-WIN! To learn more about Murals for Mutts be sure to visit their website. Wow! This is such a cool idea! I’d totally donate to something like that in our area! I love this too, Tammy – such a great idea! It must have been thrilling to see this work in person. I’d love to see your cousin’s pix!